Implemented with the patented state-of-the-art “Nitrogen” generation system, we pursue more freshness and safety. 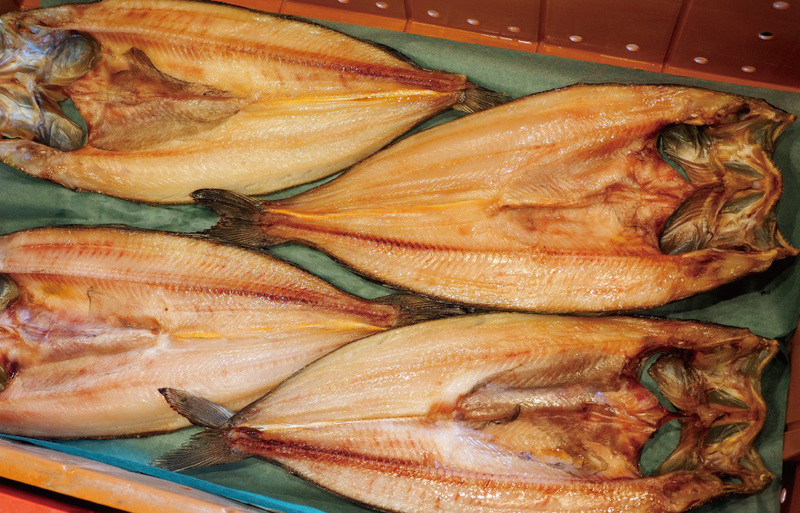 The long challenge of fishery products until now is how long the freshness can be maintained. Decline in freshness is mainly aggravated by oxidation with atmospheric oxygen, bacterial growth and enzymes inside sea creatures’ organs. In order to control these factors, a number of preservation methods have been invented. However the growth of aerobic bacteria cannot be prevented because the refrigerant ice contains some oxygen. Therefore, only a short time period from the shipment until delivery to the consumer can be ensured. However, entering the 21st century, the answer to the challenge has been discovered. That is “Nitrogen”. 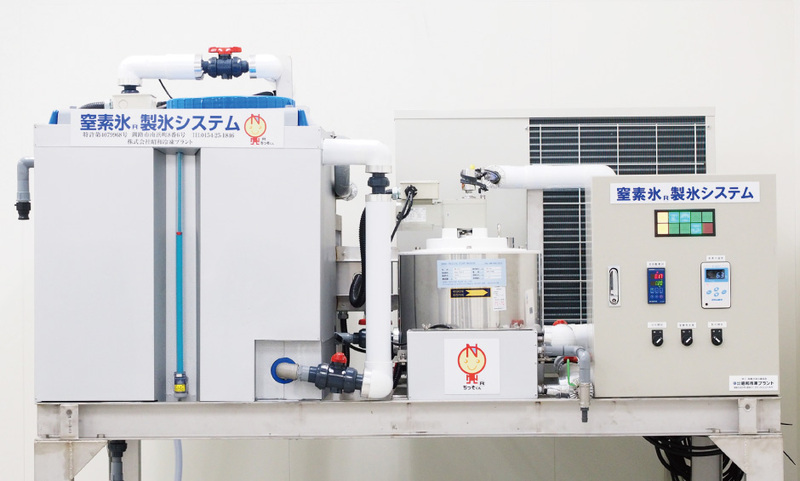 Our new processing center adopts three Nitrogen-utilizing systems to prevent oxidation and control bacterial growth. With these applications, the freshness can be kept longer. Since nitrogen comprises 70% of the atmosphere, it is proven safe for the human body. Our adopted systems extract oxygen from the atmosphere so they do not harm the environment. Additionally, longer maintained freshness enables the possibility of expanding distribution channels to overseas. The most important thing for the consumer is that the fresh taste and more safety and security can be enjoyed. Fishery products in Hokkaido region are delivered to our Nakashibetsu local wholesale market every day. Carefully selected seafood is promptly transported to our new processing center adjacent to the market for cutting. During the process, “Nitrogen water” that contains nitrogen gas is used. Even though being fresh food, it is possible to get exposed to oxygen and contaminated with microorganisms before arrival. Prior to processing and drying steps, our experienced staff carefully wash the seafood with nitrogen water by hand. It is one of the most important processes. 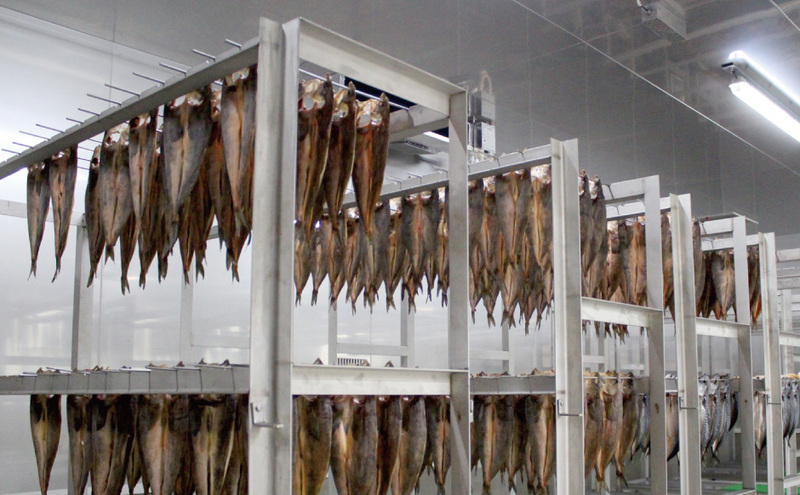 Mainly for dried fish processing, the special “Nitrogen contained hot air drying chamber” is used. 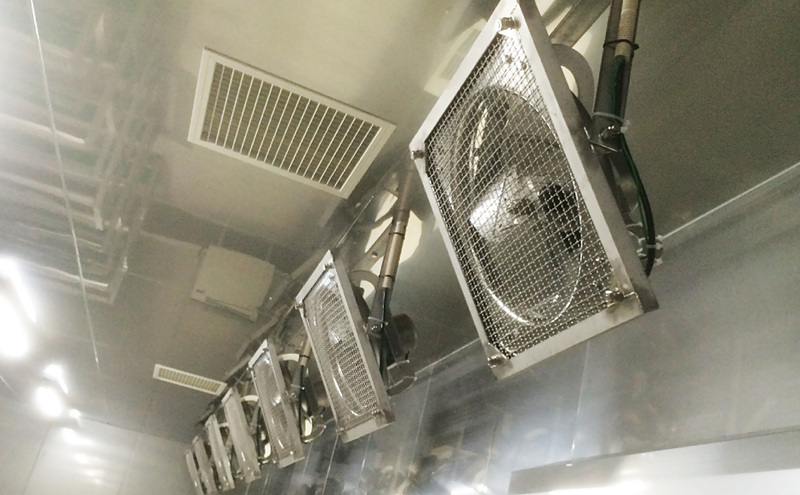 In the chamber, hot nitrogen is sprayed, and many fans installed on the roof will disperse nitrogen throughout the chamber. 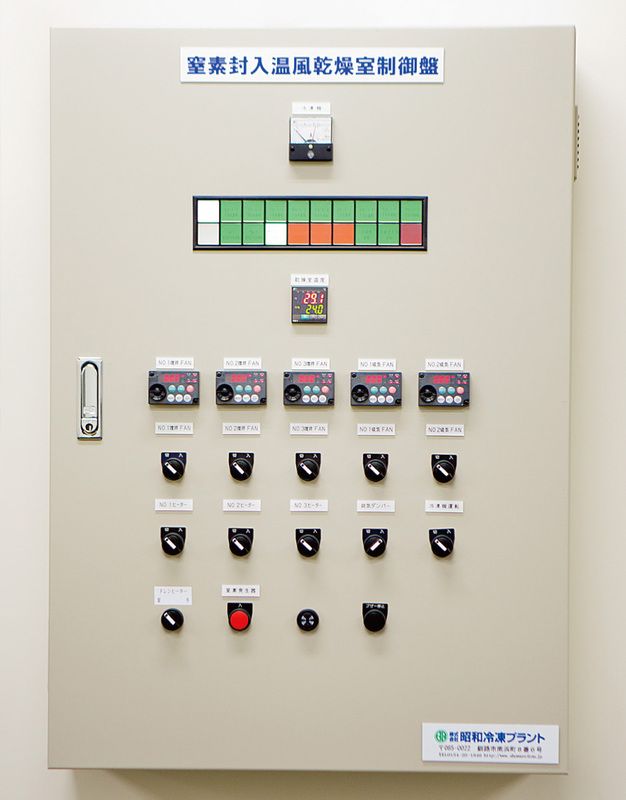 Precise drying parameter configuration according to weather, temperature and humidity can be adjusted using the special control panel that enables the most suitable condition for the time of shipment. With special racks designed for the food to be thoroughly bathed in nitrogen, we can make dry fish with crunchy surface and juicy inside. Considering antioxidant capability and bacterial growth prevention, deliverable in a short time after using the drying chamber while the freshness can still be maintained becomes a merit. “Nitrogen contained ice production system” produces “Nitrogen Ice (Solid Nitrogen)” containing no oxygen. It extracts nitrogen gas from the atmosphere and injects into fresh or brine water that nitrogen will displace oxygen dissolved in the water. During the process, since nitrogen will not combine with other substances, nitrogen water with high purity can be produced and frozen to become nitrogen ice. For fresh fish, refrigeration is important for preservation and transportation. If we use nitrogen ice, it can cool the fish, as well as prevent oxidation and control bacterial growth at the same time. By using this method, the freshness can be kept longer. Even though the ice melted, it will become cold nitrogen water containing no oxygen and continue maintaining the effects. 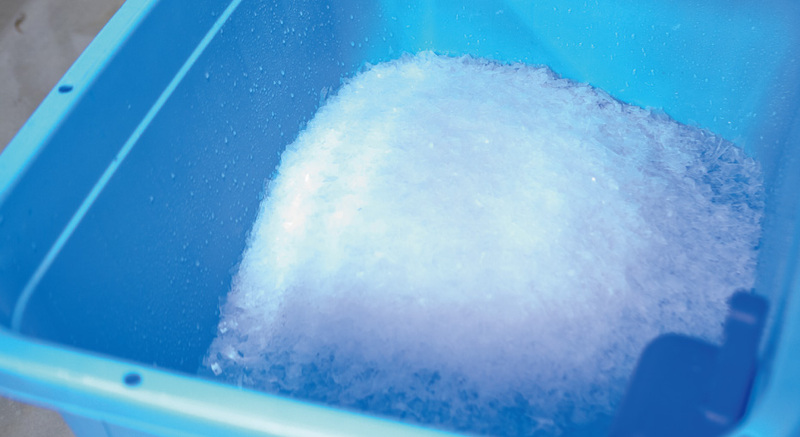 Because nitrogen ice can be produced in various forms ranging from sherbet-like to ice cube, it is possible to be applied in accordance with types of fish and packing styles.